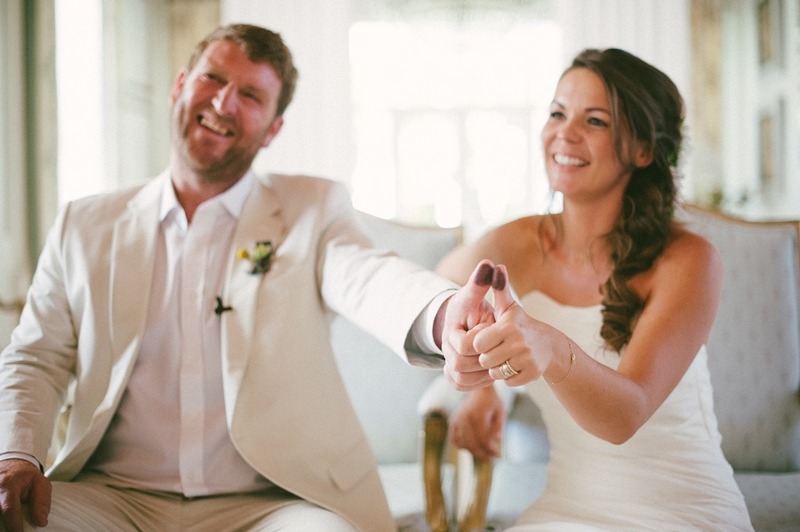 We just noticed recently that we haven’t blogged about one of our all-time favourite Cape Town weddings, Bubbles and Marc’s wedding and I’m so excited that this means I get to share it with you on our Cape Town wedding planner blog now! It was a story of natural, outdoorsy elegance. 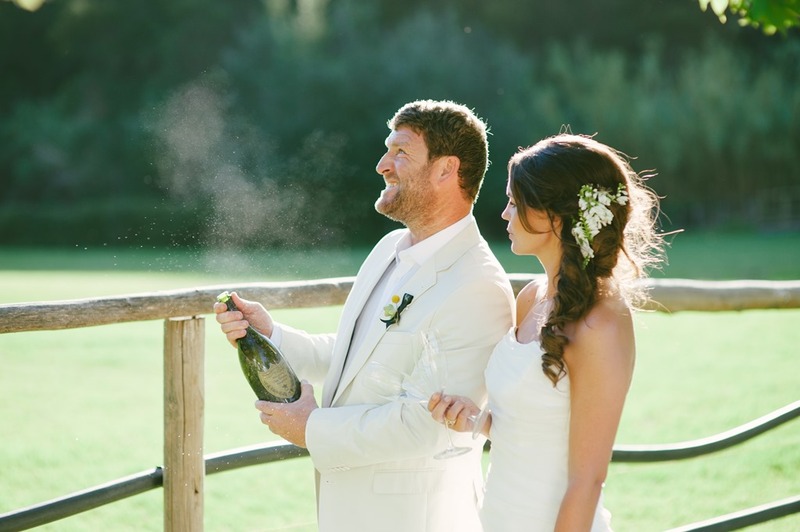 What a perfect day it was for Bubbles and Marc’s wedding! 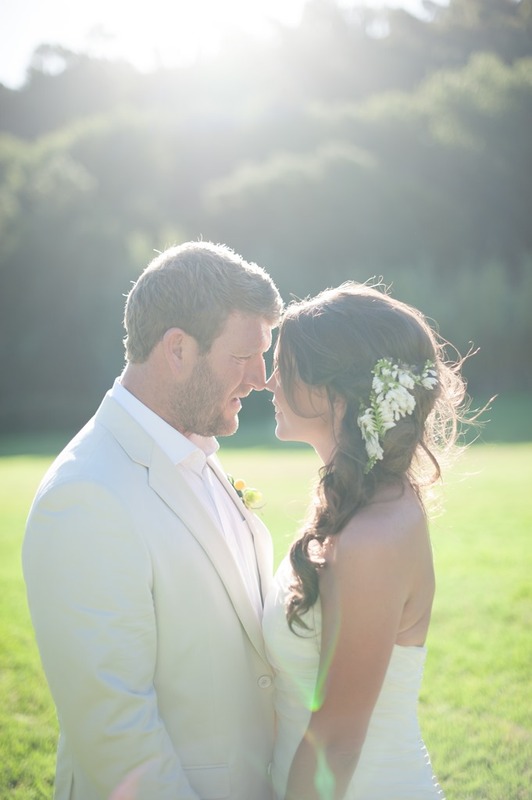 We couldn’t have asked for more crisp and clear day for a Cape Town wedding. 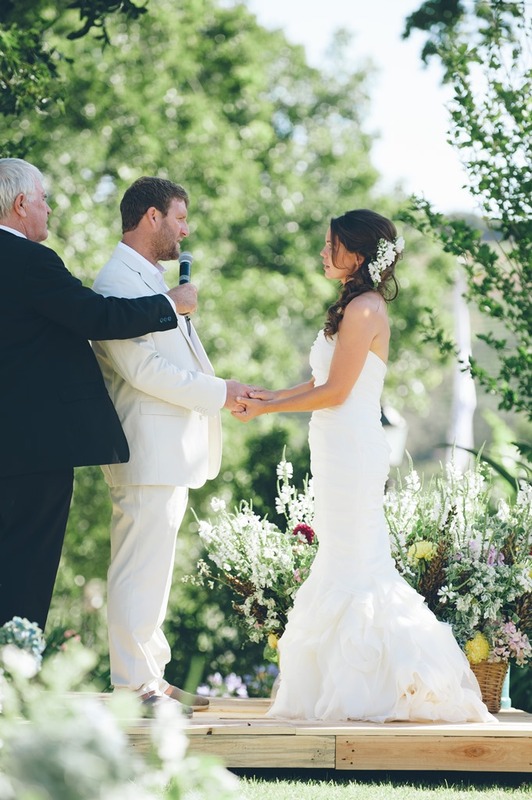 The couple chose to say their I-dos at one of the hidden gems of the Western Cape, Grand Dédale which is nestled in a naturally intimate and tranquil valley in a small town called Wellington. 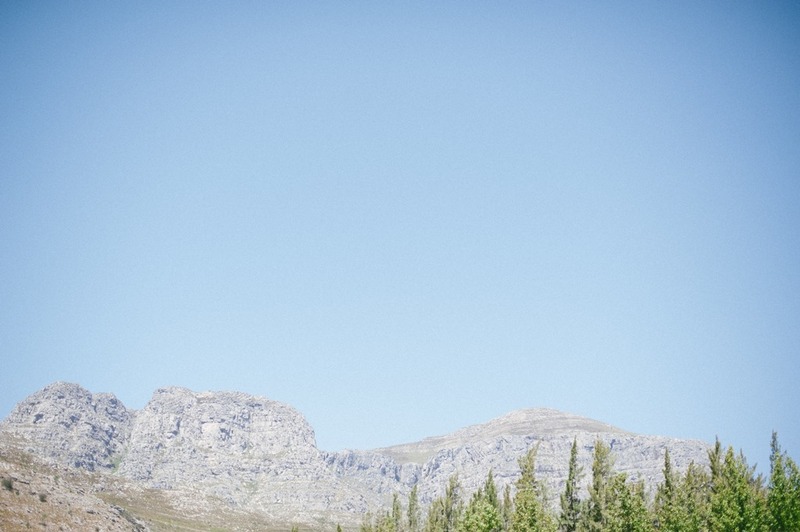 Surrounded by breath-taking views of the Groenberg, Limietberg and Hawekwa mountains and lush greenery of an award winning wine estate, Grand Dédale was everything and more a Cape Town wedding planner could hope to work with. One of our favourite parts of this wedding for our Cape Town Wedding Planner team was the opportunity to work with our absolute top fave stationery studio, Secret Diary Designs. 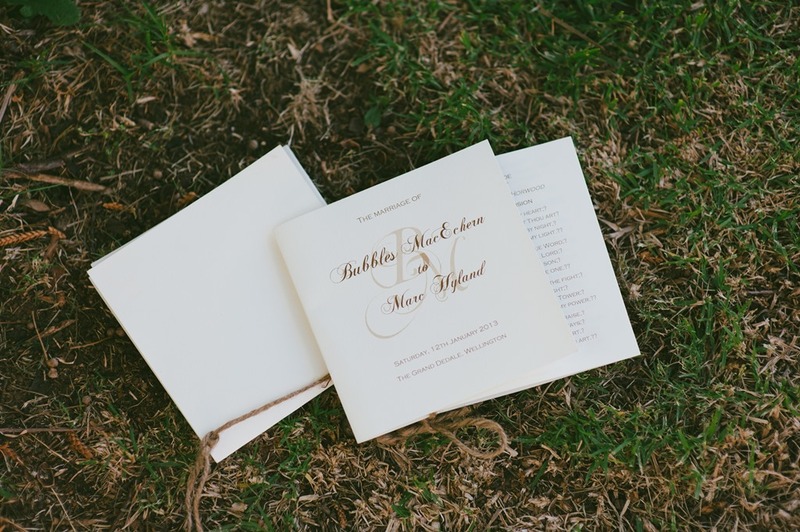 Once again Secret Diary nailed our couple’s vision using warm and natural colours paired with soft and pretty cursive fonts throughout all of the couple’s wedding stationery creating a romantic yet simplistic and organic feel to this Cape Town Wedding. 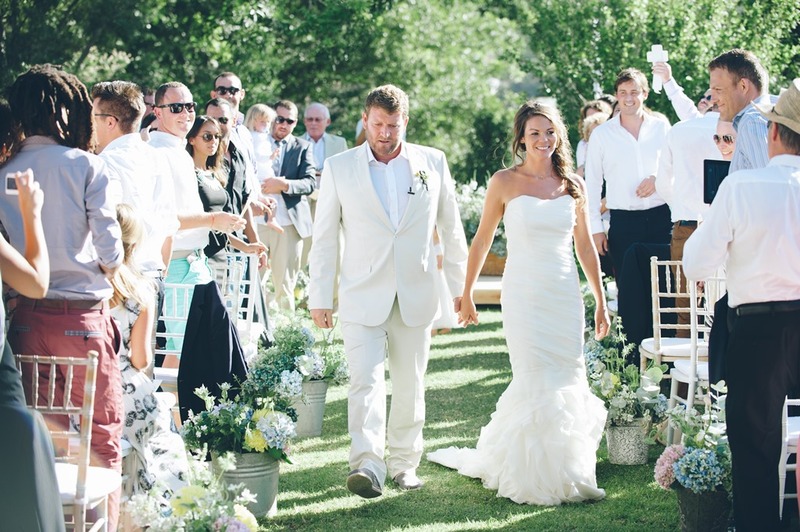 Greenery and white flowers with just the softest touches of yellow were the underlying theme for this Cape Town wedding. 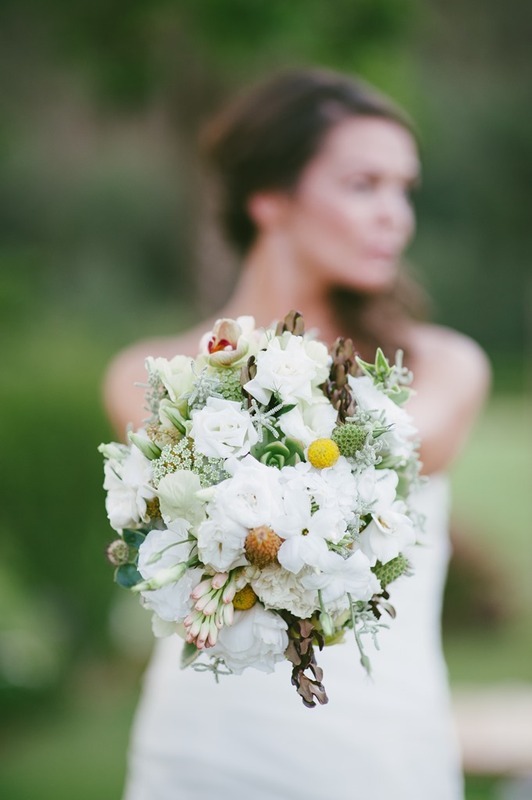 The brides bouquet was a picture of the entire wedding colour scheme all wrapped up into one beautifully constructed piece thanks to the expertise of the fantastic team from Cape Town wedding decor and flower specialists, Oaksie. 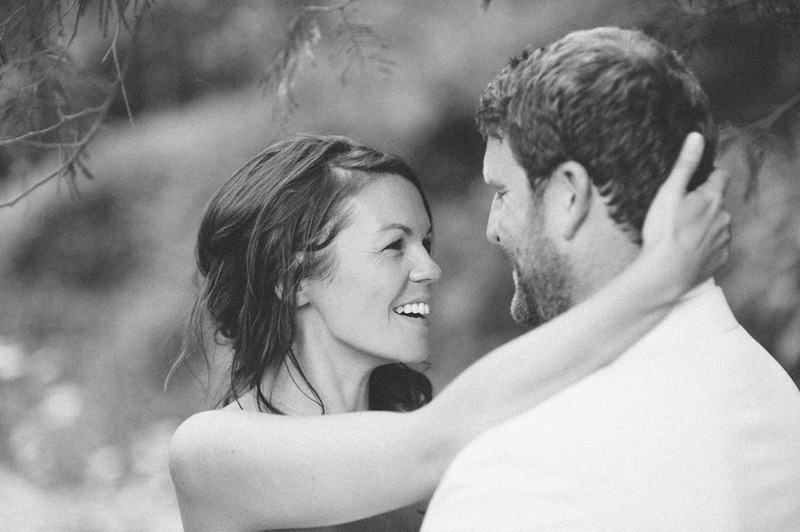 As family and friends arrived and the ceremony commenced, we were transported to a scene out of a rustic romance novel. Again, everything from the flowers in woven baskets on the wooden alter and silver pales along the aisle showcasing the greenery mixed with a touch of yellow, the guests all dressed in semi-formal attire paired with trendy sunnies, up to the bridal hair and makeup, was just all so effortless and oh so easy on the eye. After the ceremony, it was time to sign the marriage register. Photo op alert! Who said legalities of a wedding can’t be a bit of fun? 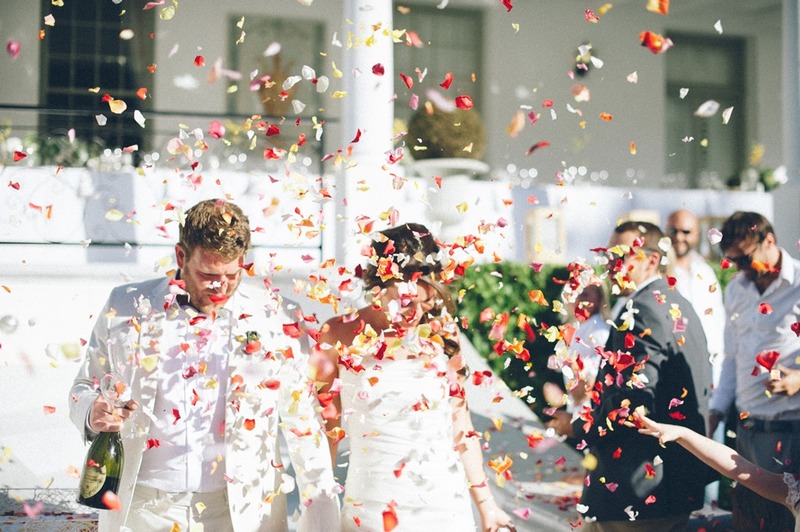 After the serious stuff was out of the way, the couple grabbed their favourite bottle of bubbly and for the first time, legally, as Mr and Mrs met their friends and family who showered them in a burst of colourful rose petal confetti to wish them well in their new adventure together. 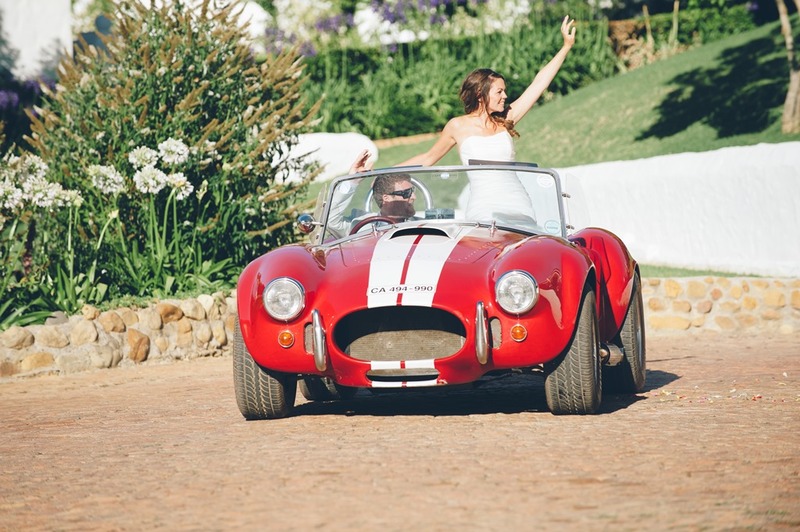 Off they went, riding in style in a super cool classic red AC Cobra sports car…. 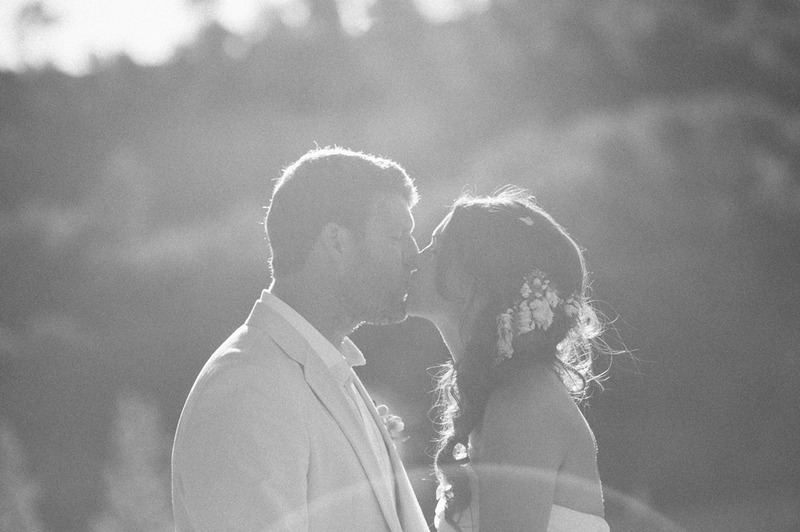 …to take a few moments together and celebrate and take it all in. The couple then set out to capture their special day with sunset photoshoot to have as memories for years to come with the skilled duo that is DNA Photography. 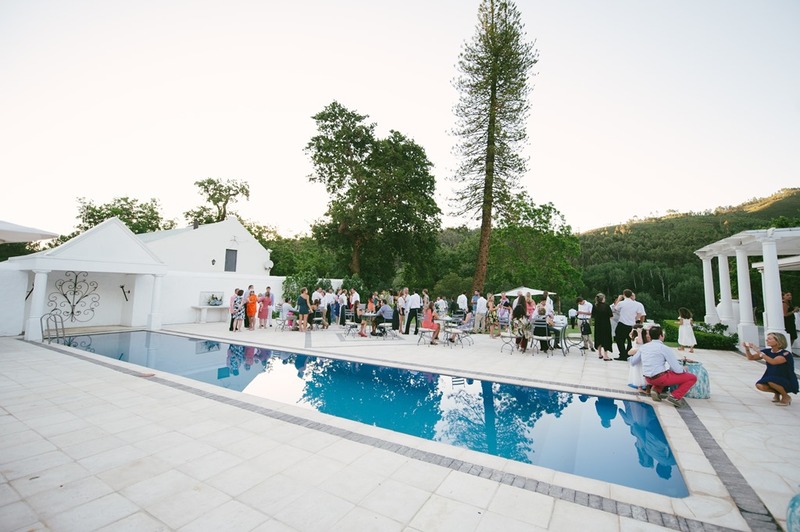 After their couple photo shoot, Bubbles and Marc joined their guests for a relaxed cocktail hour that was held around the stunning blue swimming pool at the Grand Dédale, carrying on their easy-going romantic theme. Our vibrant African sun began to set which meant it was time to move into the reception area. 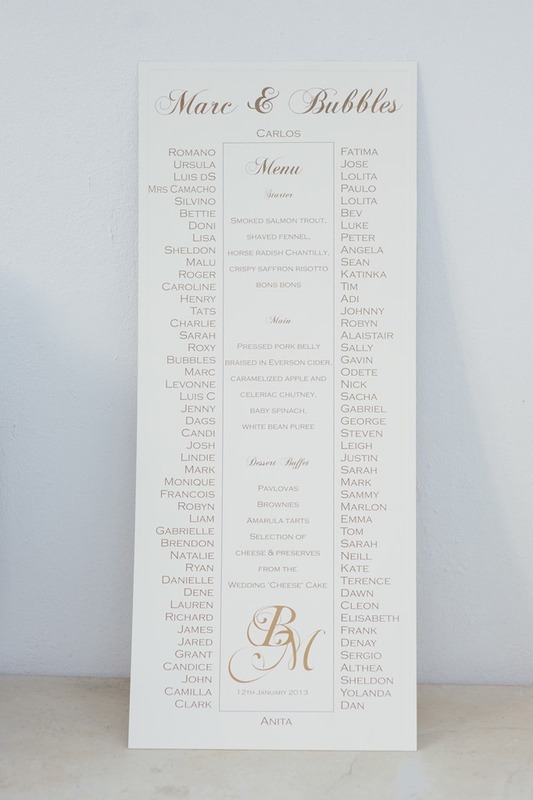 Guests could find their seats on this human-sized seating chart as well as get a glance of the delicious menu chosen for dinner, again flawlessly created by Secret Diary Designs. 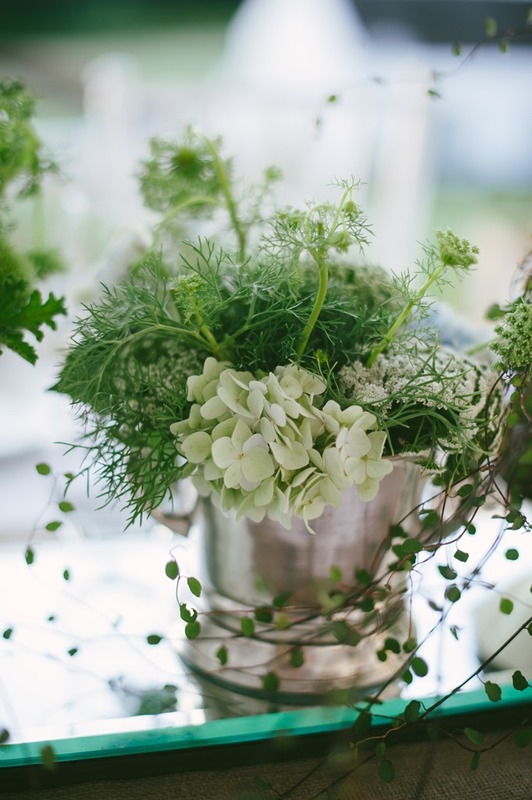 As guests made their way onto the veranda where the long dinner tables were set, theirs eyes were met with the same greenery and soft natural colours carried all the way through the day. 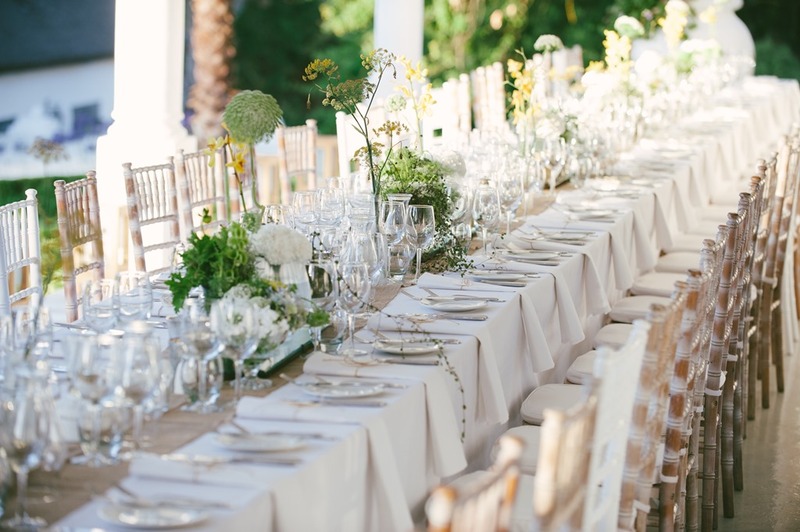 This kind of continuity was planned by our skilled team of Cape Town wedding planners who worked on this particular wedding and we love how everything flowed so effortlessly from one part of this wedding to the next. 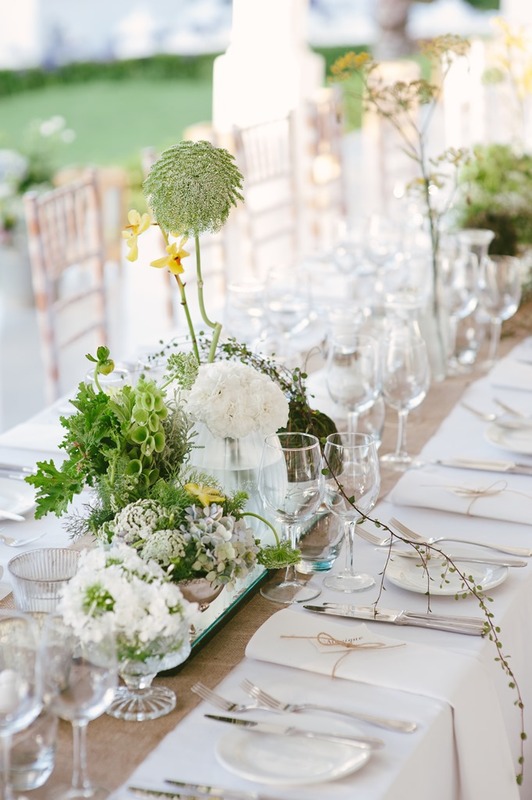 To emphasize the easy-going rustic theme, the couple opted for white-washed Tiffany chairs supplied by Urban Tonic instead of the classic true white colour. 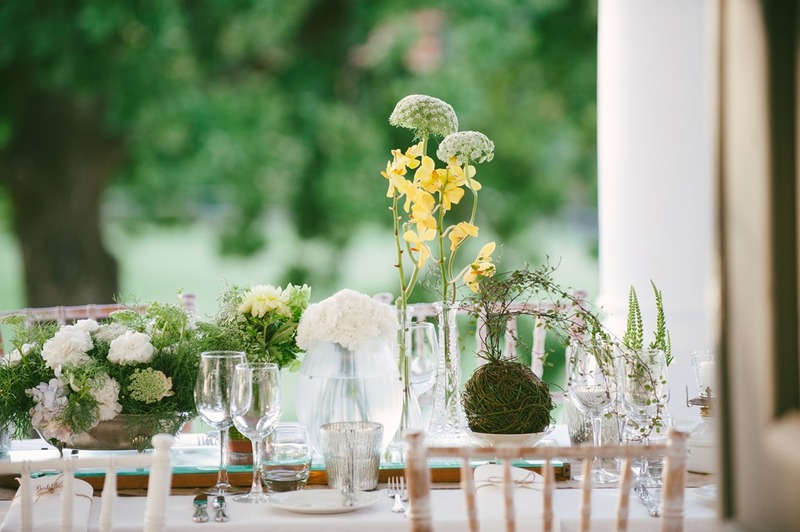 The choice of the more delicate and fine greenery, as well as the hint of wreckless leaves overflowing onto the table settings really ties in with the soft and effortless feel that the couple wanted. 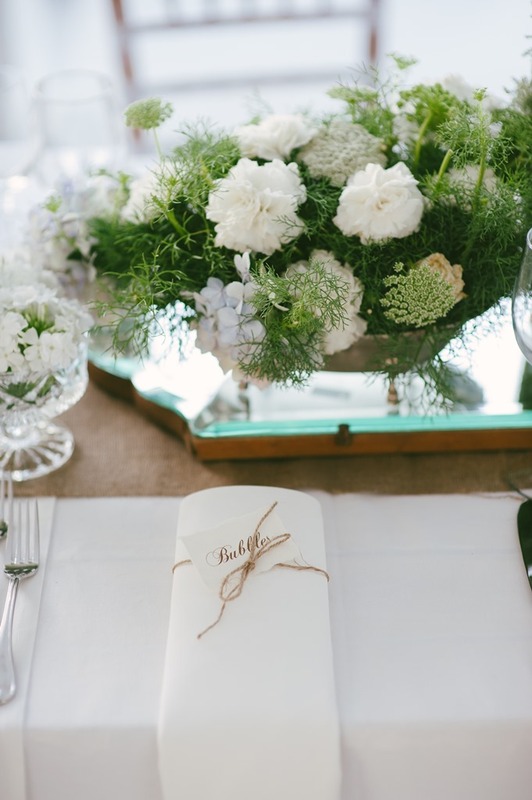 To match the rest of the wedding stationery, Secret Diary created the perfect little name tags that were tied around each guest’s napkin with a twine ribbon – how much more rustic-romance can you get?! 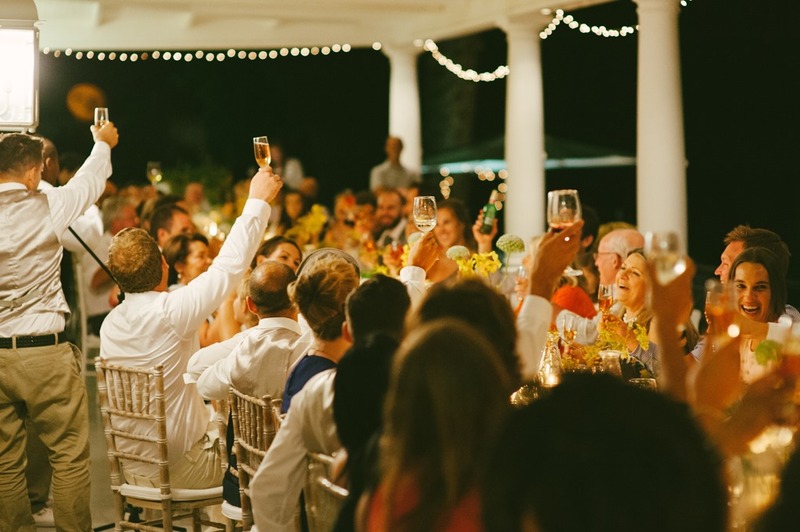 Once night had fallen, bubbly was in hand, fairly lights twinkled as everyone said cheers to the newlyweds as the always much (eagerly and uneagerly) anticipated speeches unfolded for the evening. When dinner was finished, it was cake time…with a difference! 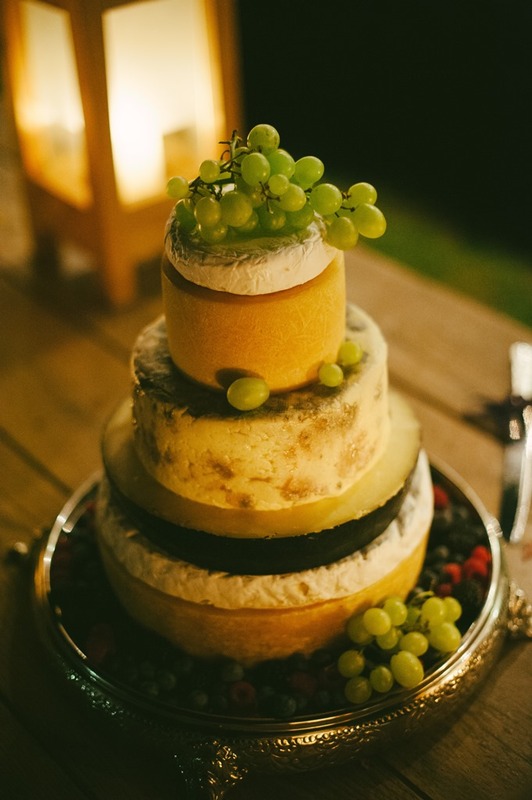 We absolutely loved the couple’s idea to go with an array of yummy cheeses stacked up into a magnificent wedding cheese tower, creating the layers of a traditional wedding cake and to top it off, the cheese was draped with sweet juicy grapes and berries. Now that’s what I call “Cheesecake”! It was then time to get the party started so, the couple took to the garden and as their nearest and dearest watched from the veranda, they opened the outdoor dance floor with their first dance under the light of the night’s starry sky, and a few strategically placed lights around the dance floor. 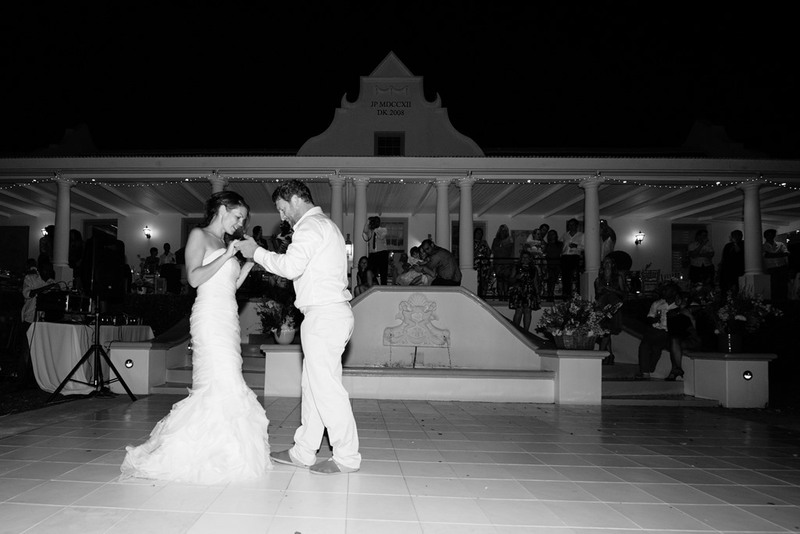 To see more of this Cape Town wedding planner’s favorite wedding, please click here, and to get in touch with our Cape Town wedding planner team, please email us by clicking here.